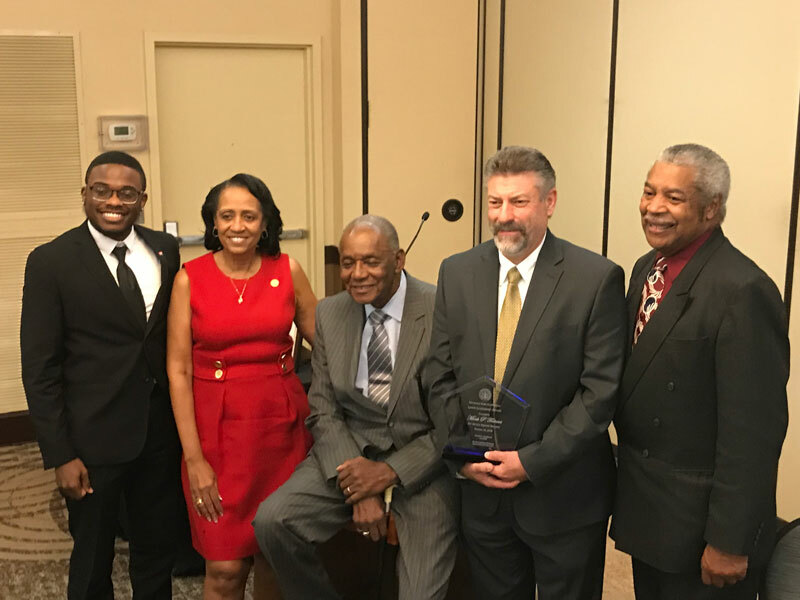 The Maryland State Conference NAACP recently honored Local 400 President Mark Federici with the Labor Service Award. This election saw a greater voter turnout over past years, with more overall votes cast, and more votes cast for the Federici slate, than the previous election in 2015. “The members sent us a loud and clear message this election – we must keep the local moving forward,” said President Federici. Chris Hoffman, who has served as Collective Bargaining Director since 2013, has moved into the Secretary-Treasurer role. “I’m looking forward to continuing my service to the members of Local 400 in a deeper capacity,” he said. Chris has been a member of Local 400 since 1988 when he started working for Giant Food. In 1999, Hoffmann became more active in his union and joined the Local 400 staff as an organizer and just a few years later he joined the service department as a representative before transitioning to negotiating contracts in 2013. Click here to view the full results of the election (PDF). Today, the board of directors of United Food & Commercial Workers Local 400 passed an official resolution condemning white supremacy and the violent actions of bigots in Charlottesville, Va. last weekend. 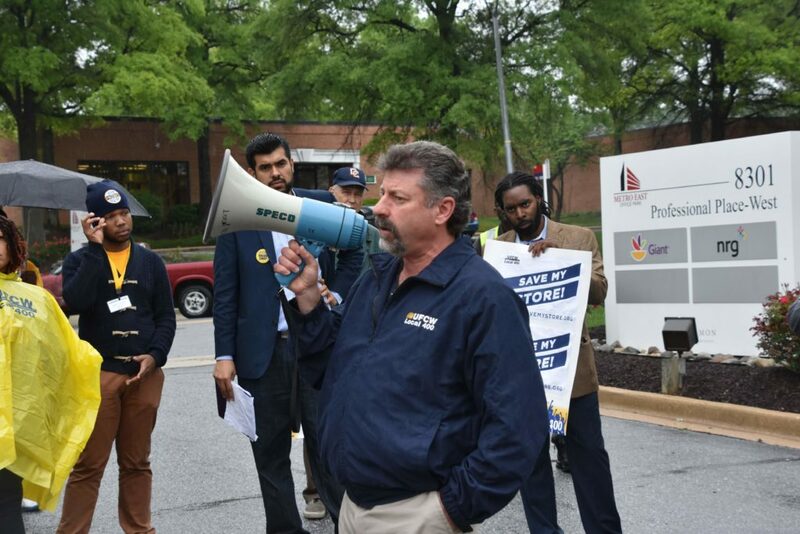 Local 400 has nearly 11,000 members who live and work in Virginia, including grocery workers at three Kroger stores and one Giant Food store in the city of Charlottesville. The resolution was approved by a unanimous vote of the board of directors at a regularly scheduled meeting on Wednesday. The resolution mourns the death of Heather Heyer and further expresses full support of all counter-protesters who demonstrated against the hateful white supremacists. In addition, the board resolution mourns the deaths of Virginia state troopers, Lt. H. Jay Cullen and Trooper Berke M. M. Bates, who lost their lives in the line of duty while serving the Commonwealth. THEREFORE, LET IT BE RESOLVED that UFCW Local 400 condemns the racist, violent actions of Nazis, and white nationalists, and attendees of the “Unite the Right” rally in Charlottesville this weekend. LET IT FURTHER BE RESOLVED that UFCW Local 400 rejects in the strongest possible terms the ideology of white supremacy. LET IT FURTHER BE RESOLVED that UFCW Local 400 mourns the death of Heather Heyer and will fight like hell for the living in her name. LET IT FURTHER BE RESOLVED that UFCW Local 400 fully supports all counter-protesters who demonstrated against the hateful white supremacists who attended the “Unite the Right” rally in Charlottesville and Local 400 extends our thoughts and prayers to all counter-protesters who were injured in the resulting violence. LET IT FURTHER BE RESOLVED that UFCW Local 400 recommits ourselves to the struggle for racial and economic justice, gender equality, and human and civil rights for all, and stands in solidarity with anyone who is fighting for the same.